Just presented this morning the new Citroen C3, a new generation of the most successful utility of the French brand that is renewed from head to toe following the Citroën Advanced Comfort program to stay as it was selling the previous generation. The good results achieved by the Citroën C4 Cactus results have given the great idea to extend the image Citroën other models in the range. The second in this list has been the C3, a car that needed a godsend a relay that will finally come to early 2017 and will be positioned as a tough opponent against the Clio, 208 and Fiesta. 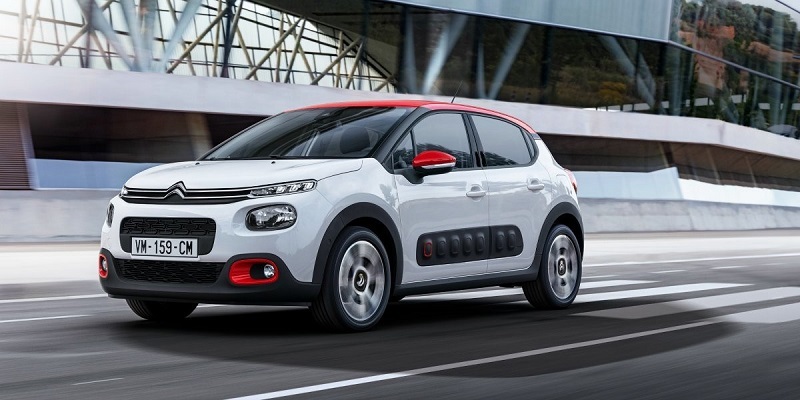 The outline of the new Citroen C3 light years away from his predecessor and takes the side of the C4 Cactus, a car that has received much praise for its bold lines. So the best selling of the house of the chevrons utility breaks with convention and joins the bandwagon of daring. With a separate headlights levels (if you count the fog will surely not take some versions), turn signals integrated into mirrors and LED taillights side, the appearance of small C3 wins many integers in terms of freshness. The plastic zones gain prominence and SUVizan. Front and rear bumpers have bottoms in black plastic, while the sides we find a line of seven airbumps that protect the doors. 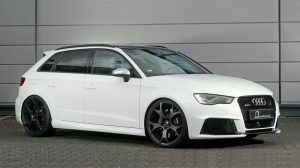 By the way, with the first of them decorated to match the details of the two – tone body roof, mirrors and front fog lights frames. On the other hand, large wheels and body line stretched from the windshield to the trunk lid give a dynamic air to the five-door body and 3.99 meters safe conquer the heart of the much. One of the fundamental pillars of the new C3 is to implement a deep range of elements to customize. Both internally and externally each customer can choose from numerous options details that combine the base body with a second tone color, color wheels and interior trim. In total depending on the brand will be available 36 different color combinations. Since DS is excised Citroen synergies are seeping from the brand premium to the generalist. The smooth, clean, modern lines that premiered cars like the DS4 end up saturating in Citroen cars. A clear example can be found in the forms of the headlamps very torn in the DS line, but also the lower plastic bumpers take a look with better quality feel and more apparent forms. Within the Citroen C3 safely be an affordable car, among different trim levels we find a version of access that lacks airbumps and two – tone paint. The forms of the airbumps outdoor flood the interior to be the hallmark of the new Citroen C3. Aerators, storage compartments, steering wheel buttons, door handles … everything takes rectangular shapes with hallmark of small utility rounded edges. We have almost no buttons in sight; all are integrated in the central touch screen as has become trend. Hopefully focusing on a young public has lots of dedicated applications and connectivity with social networks linking the smartphone. The dashboard is dual analog dial with dark background and white numbers and needles. Between both a multifunctions TFT display with trip information is placed. We do not know what level of finishes is shown in the photos (the highest surely), but the dark upholstery colors are complemented by a network of red stitching to match the interior trim that breaks the monotony to give life to the interior. I find it very curious detail of door handles, which are a fabric handle attached to the molding in the front seats. Although there is still more than half a year, the new Citroen C3 will not reach dealers until early 2017, when he landed with the good intention of conquering not only looking for a small car, but also young people who want apart from the rest. There will be available a box of six relations automatic transmission optionally EAT6 but have not specified whether all engines or only for some. It will not arrive until later this year officially, but the prototype for the WRC and is readying both asphalt and gravel. Citroën has left us see a picture in which not much appreciated, but the C3 WRC has a bestial pint. Visit http://how2dream.com/ for more information.